I’m a huge fan of Font Awesome, only it lacks a nice handshake icon. Many people from all over the world have been requesting for a handshake icon since 2013. So I decided to take matters into my own hands. 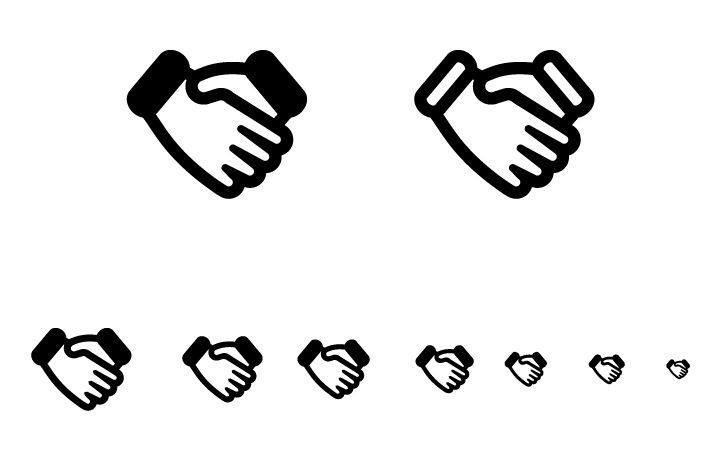 I designed a handshake icon myself and offered it to Dave Gandy, the founder of Font Awesome. I blogged about it here. Feel free to use the icon if you like. The files can be downloaded here. I open sourced the icon under Creative Commons licence (CC BY-SA 4.0). That means you can copy, clone, alter, and do anything with it you like.